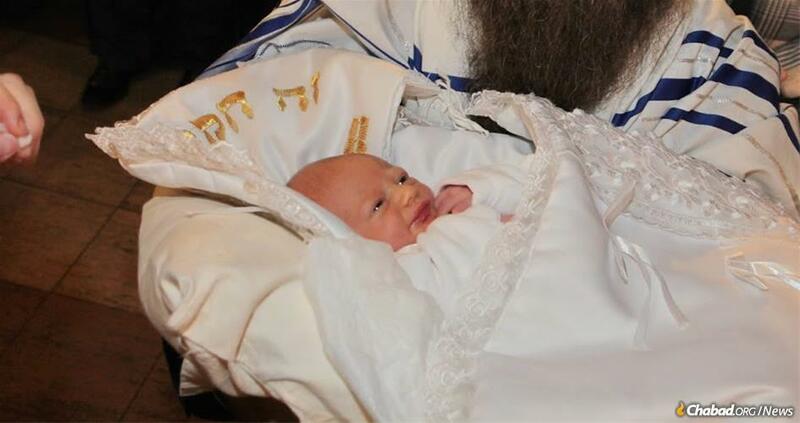 Menachem Mendel Morosov, pictured at his bris milah ceremony in Ulyanovsk, Russia, is among thousands of boys from around the world named after the Lubavitcher Rebbe. Publishers of a new book hope to chronicle every boy named after the Rebbe since his passing almost 25 years ago. Following a common Jewish tradition to name children after biblical or other holy figures in Jewish history, Nissim and Rachel Arus, a Sephardic couple from Safed, named one of their boys after the Lubavitcher Rebbe in 1994, just hours after the Rebbe’s passing on the third day of the Hebrew month of Tammuz. The boy who became that day Menachem Mendel Arus, is believed to be one of the first, if not the first, of thousands named for the Rebbe— Rabbi Menachem M. Schneerson, of righteous memory. Though the family doesn’t identify themselves as Chabad Chassidim, by his early years, the young boy had developed a history of reading many books about the Rebbe, longed to travel to the Rebbe’s gravesite in Queens, N.Y., and saved up for and eventually purchased a large picture of the Rebbe for his home. Similar inspirational stories about and from boys named for the Rebbe have been repeated the world over countless times. The exact number of Menachem Mendels—or Mendys or Menachems named for the Rebbe—across the spectrum of the Jewish community is not known, but may soon be. A Chabad organization devoted to furthering connection to the teachings of the Rebbe and ways of Chassidus—Vaad Or Vechom Hahiskashrus—has launched an ambitious project to publish an album containing the locations, pictures and stories, whenever possible, of all who have been named for the Rebbe since his passing. 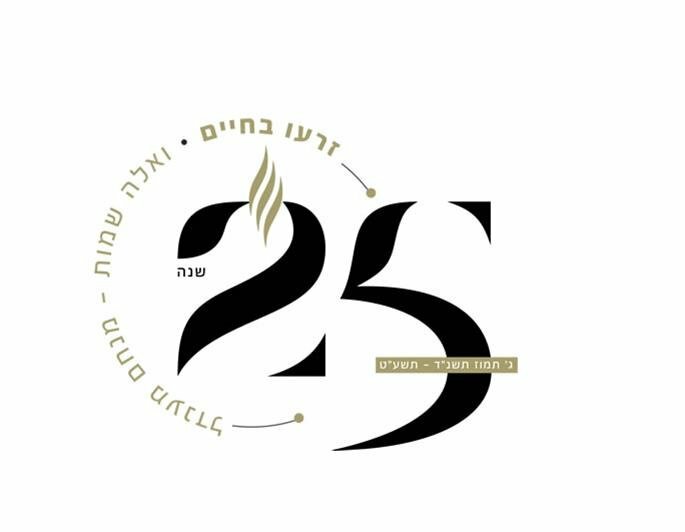 The project, titled, “And these are the names: Menachem Mendel,” based on the verse in the Torah that introduces the chronicling of the 70 Jewish souls that descended into Egypt, is being prepared in advance of the 25th anniversary of the Rebbe’s passing. The auspicious day is the third day of the Hebrew month of Tammuz, this year corresponding to July 6, 2019. As in the case of Nechama Potapov, of Kamenskoe, Ukraine, who named her son, born January 2013, after the Rebbe. “I gave my youngest son the name of Menachem Mendel in honor of our Rebbe,” she wrote in her entry to the album’s organizers. “I believe it is the best blessing for the child to bear the name of the Rebbe." The book is being prepared in advance of the 25th anniversary of the Rebbe’s passing. A highly styled, glossy coffee-table-type publication is planned. There certainly are many Menachem Mendels in the Lubavitch community, but organizers are finding many well beyond it. Based on research, the organization conservatively estimates that there are 10,000 Menachem Mendels, Mendels or Menachems named for the Rebbe globally. About 2,000 already have responded to a well-orchestrated person-gathering campaign in an exhaustive multimedia networking blitz, including the use of a multi-language website. The organization has asked Chabad representatives everywhere to gather as many participants as possible by the anniversary of the Rebbe’s birthday—the 11th day of the Hebrew month of Nissan, corresponding to Tuesday this year, less than a week before Passover, which begins April 19. The Rebbe would have been 117 on that day. Organizers of the album were inspired and further propelled by knowledge of the Rebbe’s appreciation and support of an album produced in 1990 in advance of the second anniversary of the passing of Rebbetzin Chaya Mushka Schneerson, of righteous memory (1901-1988), the Rebbe’s wife. The album contained the girls who had been named after her, complete with many of their baby pictures. Present and future Menachem Mendels and their parents, along with all of the present and future Chaya Mushkas, can take further heart from words the Rebbe spoke in 1989 on the naming topic on the first yahrtzeit [anniversary of the passing] of the Rebbetzin. Answering the call of the album organizers, more Menachem Mendel participants (often with the help of their parents) are rolling in every day, such as the one from the mother of the Ukranian Menachem Mendel. About half of the entries are accompanied by inspirational stories about how the decision to name the child after the Rebbe came about. One woman from Beit Shemesh, Israel, who described herself and her husband as having grown up in various Chassidic non-Chabad communities, wrote about feeling closer to the Rebbe in recent years just as she entered her sixth pregnancy. “Several complications arose, and the doctors predicted that it would end in a miscarriage,” she wrote in the entry shared by the album organizers. “We were traveling to a wedding of a relative in the United States, so we decided to make a detour to New York and pray at the Rebbe’s Ohel. While standing in that holy spot, I made a commitment: If my pregnancy would pass successfully and I would give birth to a healthy boy, I would dedicate that child’s name to the Rebbe and name him Menachem Mendel. Thank G‑d, the pregnancy continued uneventfully, which was a pure miracle. On Yud Gimmel (the 13th of) Tammuz 5778 (2018), our precious son was born, and we named him Menachem Mendel. Many say similar things about the honor and power of bearing the name of the Rebbe. One story, though, was a standout. It came from a young man from Lod, Israel, who had some ups and downs in his life, including in his Jewish practice.